Lucy Desoto was raised in Sydney’s Western suburbs in the 1960s and ’70s and graduated with the Higher School Certificate in 1977 from Sydney’s Fort Street High School. After suspending studies for a Bachelor of Arts in 1979, she went on to become went on to become the editor of the Sydney University Union Recorder while writing songs and playing in inner city pubs in The Living Daylights, her first band. 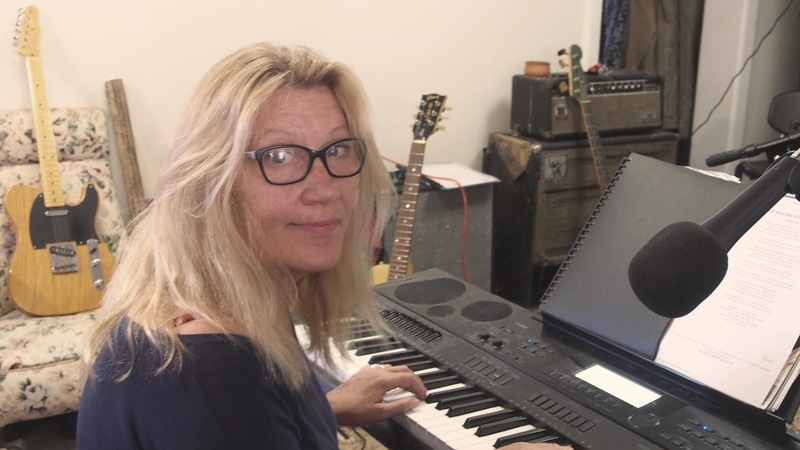 Inspired by the song, Lucy took a walk on the wild side, playing the blues and rock music in bands with various line-ups around the country throughout the 1980s and throughout her life so far. 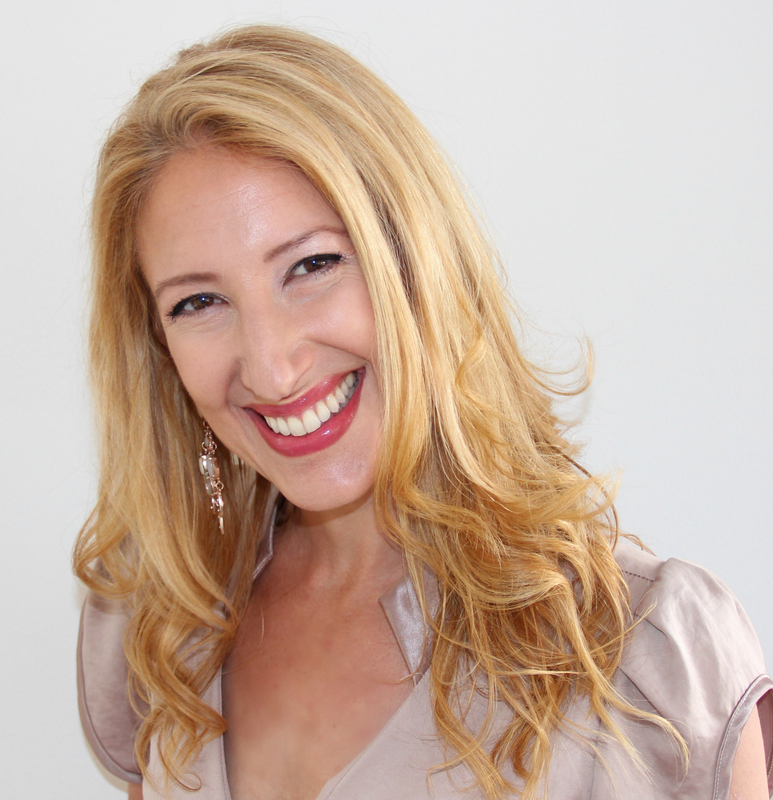 Lucy returned to Sydney University in 1997 and graduated with a first class honours degree in Media Arts in 2000. In 2002, she was awarded a Commonwealth stipend to undertake a Doctorate of Creative Arts at the University of Technology, Sydney. Her doctoral thesis focused on the modes and influence of unofficial cultural practice in Australian history. In 2007 the production component of her doctoral work, a documentary film titled, Rock ’n’ Roll Outlaw, was invited to screen at The Melbourne International Film Festival to wide acclaim. The film was dedicated to her partner of 22 years, an Australian rock musician of renown, the late Pete Wells who died in 2006. Lucy with her band, The Handsome Devils continued to play in inner city bars and pubs in Sydney until her decision to re-locate to Alice Springs in 2013, where she wrote the book Australia Rocks, her first commercially published work. Why do you write? Like a composer or any artist, for me the creative process gives life its meaning and like a mountaineer or a marathon runner, I enjoy the challenge. Writing is an immersive experience, so I think, like most people who write, you have to be comfortable in your own skin and with your own company so you can get to that place where you’re just working in the moment, forgetting the time and just spinning a yarn for yourself, and maybe to share with others. What would you be doing if you weren’t a writer? I don’t know what I’d be doing otherwise. Maybe I’d be a statistic in a mental health ward. There’s an old Zen Buddhist saying, goes something like “fetching water, chopping wood”. To me it doesn’t matter what you’re doing – whether it’s writing or serving in a bar or washing cars or traveling the world in a rock band, the simple things in life are the main things to be doing well and the rest will follow – basic self-respect, care for others, cook, clean, work, play, sleep…enlightenment. What was your toughest obstacle to becoming published? Time. I’m sure I’m not alone when I say I spent a lot of time researching and writing material that was never published, but if you have the capacity for working without an eye on any particular outcome, and a willingness to develop the virtue of patience, then while you use your obstacle to write, then your toughest obstacle to becoming published passes of itself. What’s the best aspect of your writing life? Deep listening. Australian Indigenous writer Miriam-Rose Ungunmerr-Baumann speaks of deep listening as a way of being that is similar to a state of contemplation. In her language, the term is “dadirri”. From what I understand, that’s a big part of human perception, the way to wholeness, and through being able to listen deeply to the silence within, you can gain access to a kind of gateway to soulfulness. That’s where you can begin to listen to your muse. As an adult, that essentially is the best, most comfortable and rewarding place to be, but that’s just me. —the worst? Poverty. Living below the breadline is no fun, and being forced to do time working for a pittance is hard on your mental health. Australian writers and artists are among the least valued in the world. It’s a disgrace, but these days it’s part of the national agenda. Being a true Australian means you’ll cast your vote for living in an economy rather than a society. Now more than ever we’re encouraged to celebrate and support a lack of imagination, narrow-mindedness and shallow voracity as a matter of national policy and pride. Corporate culture is pitiless infection. What would you do differently if you were starting out now as a writer? I’m not sure I understand this question because I could be wrong but I think the assumption is that there’s something in particular that I could do in the past, and that would adjust things so that the present would be different, and not just different, but better. If I were starting out as a writer now, how would I benefit from hindsight by doing something differently? And my answer to that is, the whole process is so organic that if you did something differently it would all be different – not necessarily better, but not the same as it is. I don’t think I’d do anything differently because it is what it is. What do you wish you’d been told before you set out to become an author? I wish someone had told me a beautiful secret, full of rich insights and practical advice that I could simply adopt as a way of life that would make everything feel like an effortless ecstatic dream, while in reality I became healthier, wealthier and wiser with each passing day. I didn’t really set out to become an author, to be honest. I enjoy writing and I enjoy the research process but I didn’t give a thought to ‘becoming an author’. I just followed the shape of the book project as it emerged from day to day and now there’s a lovely book that I wrote, and I’m very happy I did it, because it seems a lot of people are very pleased with the result. “Life is mainly froth and bubble/Two things stand like stone. These are the words my father would often recite in a philosophical tone and never with any sense of irony, and with such regularity that they’ve stuck to me like a tattoo on my memory. They were written by the Australian poet Adam Lindsay Gordon sometime in the 1850s and come from his poem “Ye Wearie Wayfarer”. I think my grandfather passed the words down to my father, and they’ve now become a familiar part of the family conversation – like an old saying. Australian rock music has a rich history of performers and bands that have created not just the soundtrack for Australian lives but have also shaped the international music scene. 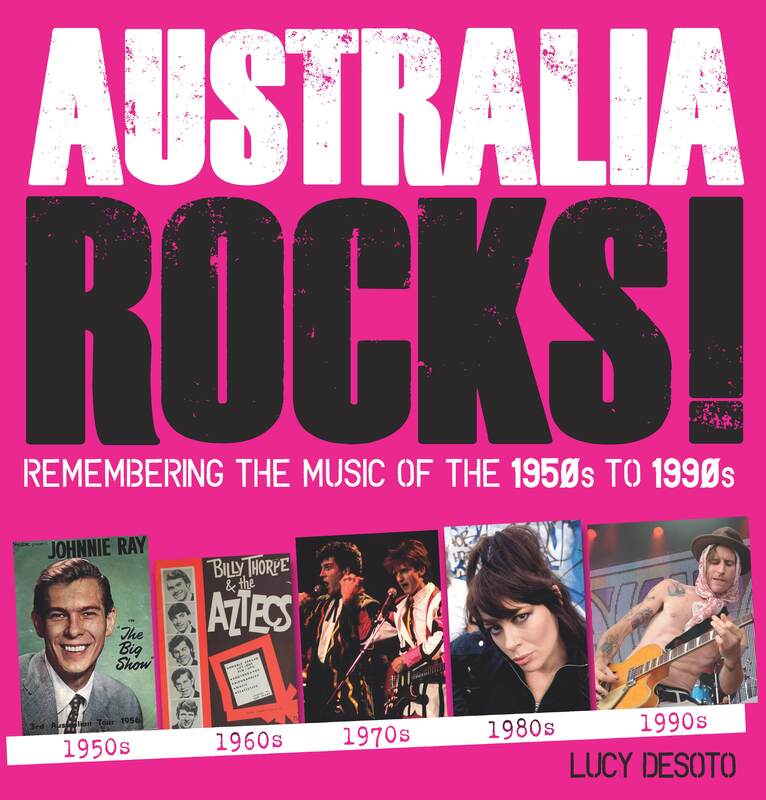 In the early days of the 1950s and ‘60s, Australian rock saw performers like Johnny O’Keefe and The Easybeats. The 1970s saw Cold Chisel and AC/DC, among others, performing to packed halls locally. AC/DC turned this into international success, blasting through three decades of touring and performing. However, it was only in the 1980s and 1990s that Australian rock truly made its mark on the international stage with iconic bands such as Men at Work, Midnight Oil and INXS. Australia Rocks brings the bands and the times to life through unique photographs and evocative text. Written by a rock musician, it also goes beyond the ‘big names’ to highlight the many independent, often lesser-known performers who played such an integral part in shaping the industry, and shines a light on how rock music was not only influenced by global events (the Vietnam War, for example) but also formed part of enormous cultural shifts (the Swinging Sixties, the protest movement, etc.). From the demure dance halls of the 1950s to the smoke-filled pubs of the 1970s and the packed concerts of the 1990s and beyond, Australia Rocks will have music lovers dusting off their vinyl collection and remembering the good times. Marina J’s top tip for aspiring authors: Write lots. I’ve been writing a regular blog since 2008, and when I look back at them I smile, mostly in shock, because I write so differently now. Also I don’t write in different coloured paragraphs anymore, which I slightly miss. Why do you write? To reach you, sitting like you are right now, wondering how you’re going to get “there”, because I know how determined you are to get “there” and so that’s why I write. Because I want you “there” already too! And I know how to get you there. What would you be doing if you weren’t a writer? What I’m doing right now – which is helping women turn their power on and get their fabulous BACK after upset with him, with her or with life in general – because life can get a bit bumpy along the way. I coach women around the world and have been for more than a decade. What was your toughest obstacle to becoming published? Finding a decent publisher. Nine days after we launched I walked away from my publisher via a fabulous lawyer. I wouldn’t be the author of Turn Yourself On if I didn’t stand up for myself. It’s so important to have good people surrounding your book and unfortunately in the beginning, I didn’t. —the worst? Being stuck in a room by myself writing! Now I’m lovely, don’t get me wrong – but I’m more of a speaker actually. So I’ve written my book as if I’m sitting next to you, which helps me feel that I’m in the room with you when I write, so I don’t get too forlorn. What would you do differently if you were starting out now as a writer? I’d self publish right off the bat. Unless I found a publisher brave enough to keep the energy and tone of my book so as not to make yet another homogenous book (it happens more than you realise) and, who would and could, allot me good PR. What do you wish you’d been told before you set out to become an author? That I didn’t need a publisher; I reached #1 on the Amazon best seller list in the UK and USA without them. What’s the best advice you were ever given? That when you first write something down, sometimes it will be ‘bang on’. Other times, it just doesn’t quite hit the mark. Know then that it’s simply a draft and for most of what you write it will go through several drafts (or many!) as you hone your message. This stops you from beating yourself up and lets the real you come out and play. My film director friend told me this is normal for every script he writes or has seen and as such took a huge weight off my shoulders. Whether you’re down in the dumps after a relationship break up, feeling insecure with where you are in life, or just craving a drastic change, it can be difficult to put the wheels in motion. 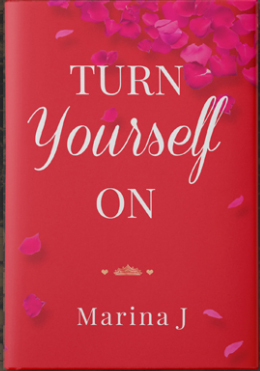 Turn Yourself On is a practical guide to turning your life around. Filled with relatable examples, practical tools and techniques, Turn Yourself On is an empowering read to help you live with greater happiness. This is your best friend and handbook for life.